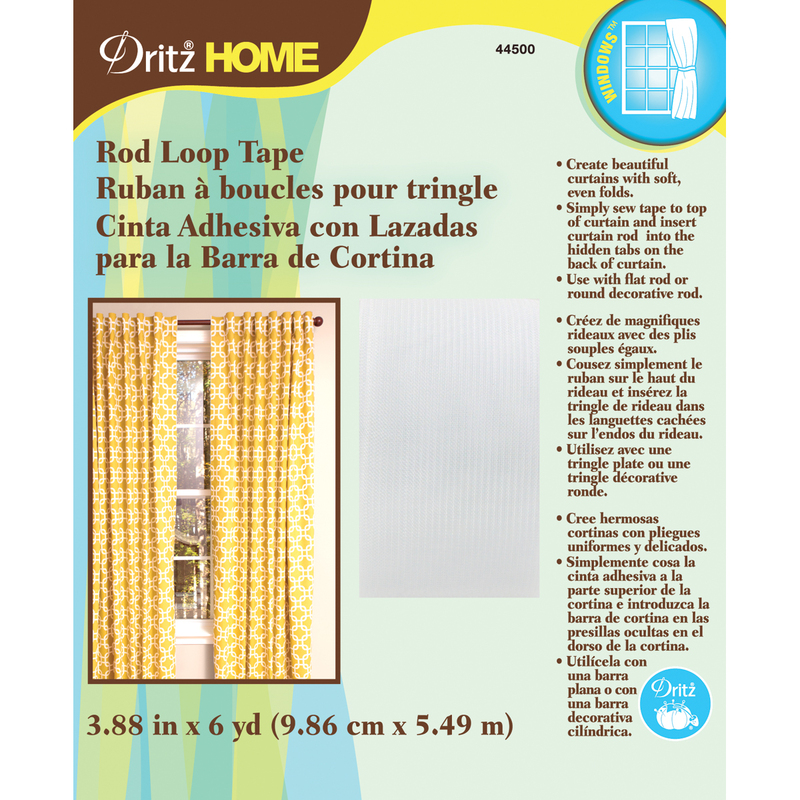 DRITZ-Rod Loop Tape. Use this tape to create beautiful curtains with soft and even folds. Simply sew tape to the top of a curtain and insert the rod into the hidden tabs on the back of the curtain. This package contains 6 yards of 3-7/8 inch wide tape. Imported.